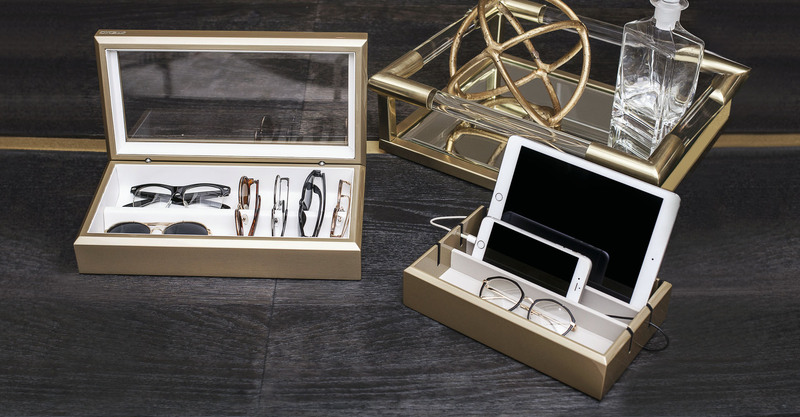 Charge your mobile devices with ease. 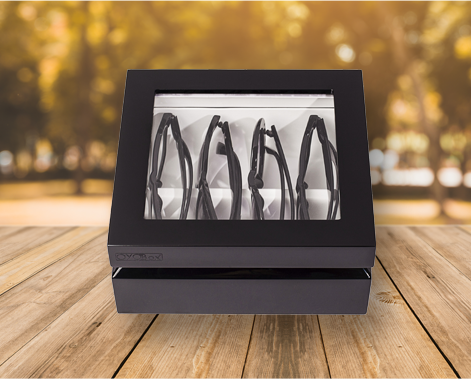 With specially engineered interior partitions and six wire groove entry points, the OYOBox Tech Tray allows you to effortlessly charge all of your mobile devices in style. 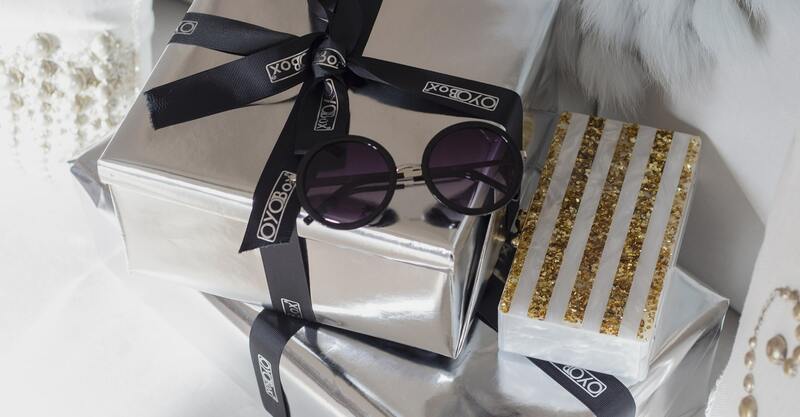 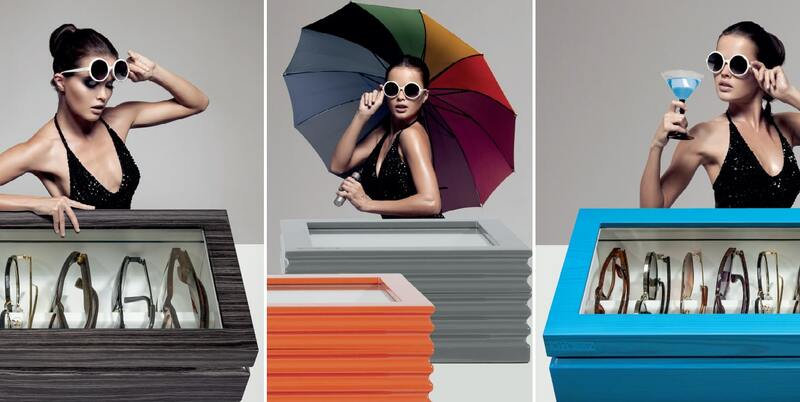 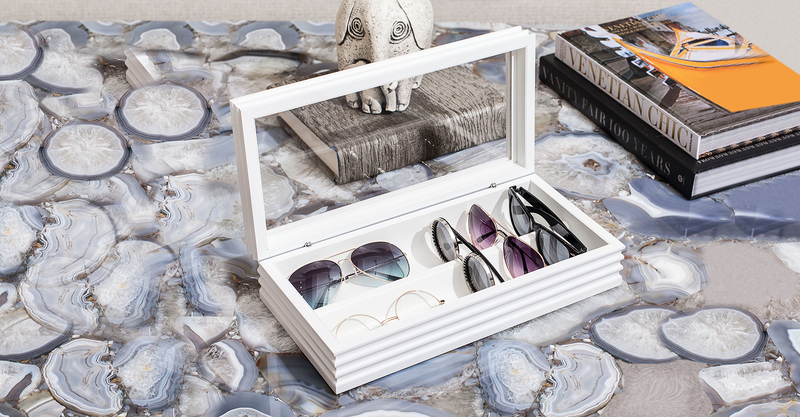 A designer home for your eyewear, OYOBox Mini houses your favorite sunglasses or reading glasses in style. 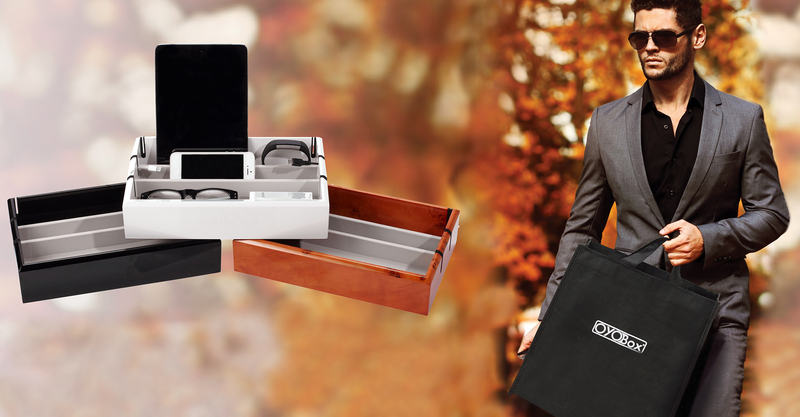 Created with great attention to detail, each OYOBox is a fine example of luxury handmade craftsmanship. 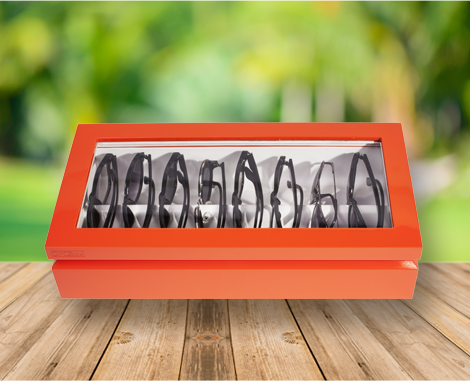 A stylish accent piece best displayed in your bedroom, closet, office or entryway. 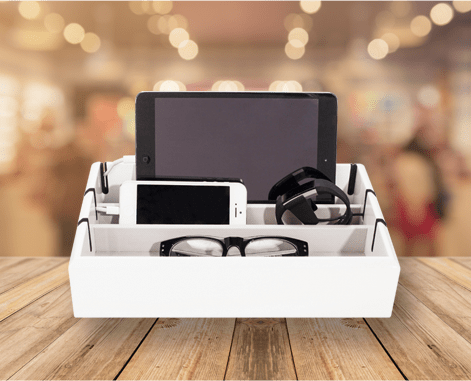 The OYOBox Tech Tray allows you to effortlessly charge all of your mobile devices with ease. 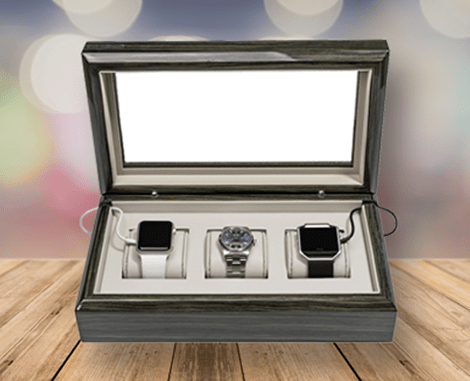 Store and charge your time pieces effortlessly including your latest smart-watch or fitbit. 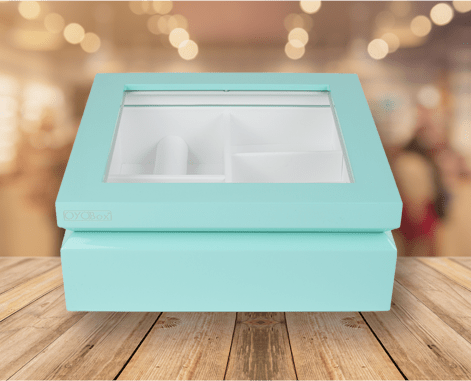 Store and organize your favorite fashion jewelry in style. 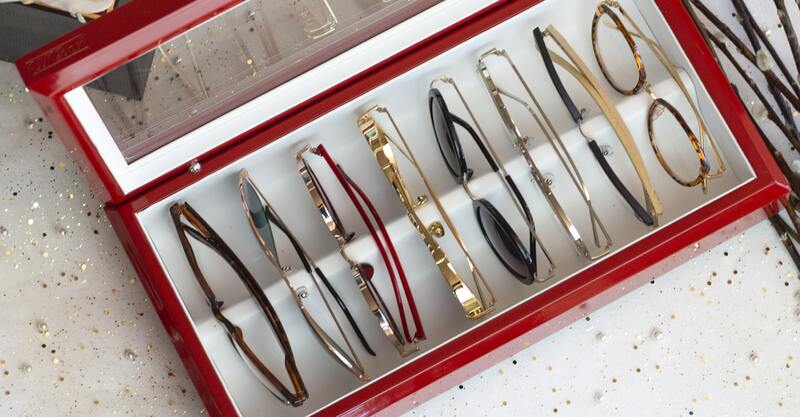 Enjoy being able to SEE - CHOOSE - WEAR your daily accessories with ease.